Meetings are held on the 3rd Wednesday in the month at 10am at Gravesend. 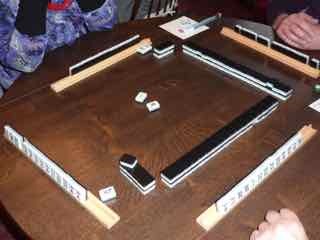 Hong Kong Mahjong is a game of skill, strategy, challenge and most importantly, enjoyment for 3 to 4 people. It increases alertness and is believed to ward off dementia! 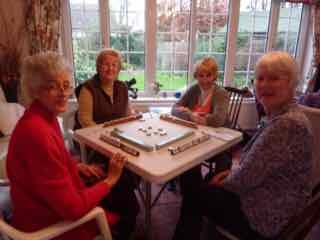 Mahjong roughly translates as "chattering sparrow". One of the many myths claim it was so named because Confucius liked birds and used the game as a teaching tool that he then took across China in his travels. However, a great many games in China claim to have been invented by Confucius, so coupled with the lack of even a single ancient tile, this theory seems unlikely. In fact, the oldest artefact identifiable as a Mahjong tile dates to the 1880s. There are many variations of the game throughout the world, some quite different in their scoring. In deciding what version to settle on it was thought that the Hong Kong version was the most suitable. It is the version played by many Chinese and in terms of scoring, one of the most simple to grasp. So Hong Kong Mahjong it is. 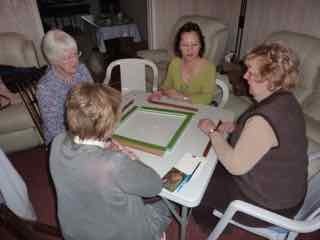 Sessions are held in a house in Gravesend with Linda Mei always happy to give advice and help on playing the game. 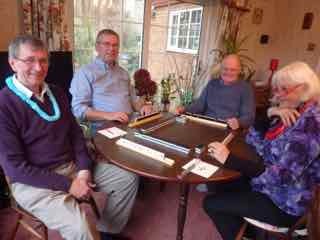 Whilst Mahjong is a gambling game the Group only undertakes scoring and has now introduced a scoring league table to add a bit of ‘competitiveness’ to the gameplay.